Yesterday I was at The Midlands Wedding Show. This is a great show organised by Just Exhibitions www.midlandweddingshow.com There were over 250 brides and couples through the doors and it was great to be able to chat to so many of them. We had a really nice chat about not just what I do but also about entertainment for events and weddings generally. It was great to be able to chat about what for me is the most important part of supplying not just entertainment but a complete service, also what make the difference between get what you pay for and not getting what you don’t pay for. I hear so often about the soaring costs of weddings, and often this is because people know how important it is to get the basics right or when you are able to see the benefits of a higher priced item such as table decoration or flowers etc. But with entertainment it’s easy to think that a band is any band singing the same songs or a magician is just a guy doing tricks. I believe the quality in the product goes far beyond the tricks. Although saying this a good percentage of the tricks that I perform variations of have been used on the “… Got Talent” shows across the world to secure places in the series finals. So thats a fairy good start! Ultimately It’s the bottom line basics that make that extra difference and you should make sure you look out for when booking. A good booking system including plenty of wedding information to make sure not faux pas are made on the day plus good communication leading up to your day. Arriving in plenty of time to be ready to start on time. In my experience things can also start early as often as running over!! A smart appearance, some magicians may try and stand out from a regular wedding guest but I believe smart, tie and suit is always the best option, particularly at a wedding. After a short while if people are laughing and enjoying what it happening you soon get noticed as the entertainer. Of course Public Liability and membership of trade bodies go without saying…but i just did! Most importantly performing magic should always be entertaining and not about just bemusing an audience or talking through whats happening. It should be engaging, fun to watch and be part of what is happening. That not only about the personality and charisma of the performer but also experience, likability and sense of humour. So if you are looking for entertainment make sure you are not just thinking about the trick or songs being played being a professional with experience goes far beyond that and it what will ultimately make you wedding Amazing! Today you just need to do a quick google and you get a huge lists of entertainers but not only is it easy to find an entertainer but its also easy to become one and create a fantastic looking website including lots of photos. So how can you tell the experienced professional from the part time “professional”. Here is a quick check list! It’s easy to get a picture of people screaming and reacting to the most basic of tricks! So let’s look past that! Is everyone engaged! First rule of being an entertainer is being engaging. Even more so as a magician, is what you are doing being engaging. A simple lack or politeness or personal appearance can soon disengage an audience so look at everyone in the photos. Are they all watching intently (obviously barring sipping a drink at the photo moment etc). or are some members of the group looking away or on their phones even. If its a performance at a table, look around and in the back ground are the tables nearby looking over to see what is happening? If a performer is capable of creating an atmosphere or presence in the room then this is a tell tale sign!! If i am performing for a table I always make sure that I am involving the whole table, not only does this make guests feel important but also creates a fun experience and atmosphere in the room. Its often easy to spot a nice venue! Its probably safe so say good performers will always be found in the best venues! 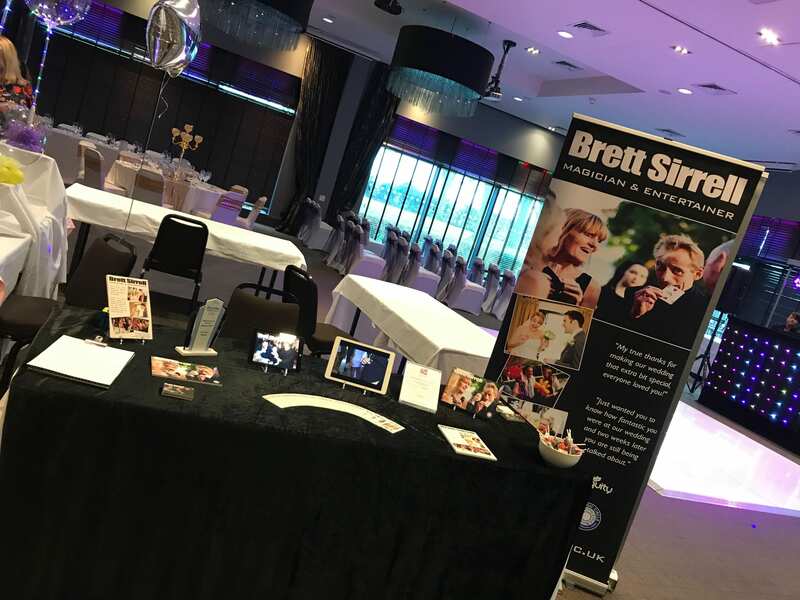 Look again at where the photos are taken, is the performer regularly working in exclusive corporate environments, beautiful 5 star wedding venues or are they performing in local pubs restaurants, local social clubs or even on the streets! Alternatively not even working at all, perhaps photos taken while selling themselves that one time at a wedding fayre?? A quality supplier and quality environment will often be found together! The old saying that appearance is everything! Again looking past the obvious and look at the magicians attire. Is it loud and probably more suited to a childrens show, is it a little dated. (ties and waist coats with playing cards on looked great in the 80s!) I believe that the performer should suit the environment and if they need a special waistcoat to get noticed then this might be a reflection on their personalities. I often choose a smart, tailored black suit and tie for most events. This allows me to fit in whether its a Black tie dinner or a more casual event. Its recognisable that I am a magician without being gereish and its also smart! I’m a big Apple / iPhone fan! ( Despite what people might say about the company) The best part for me is when I buy a new Apple product it’s the box it comes in. Straight away before you see the product the packaging tells you its going to be good! Often several good photos come from the same event so having a few photos from the a handful of events across the website is acceptable. However, if all the photos are from the same event…does this performer really work at all the events they say they do? Or maybe once they have finished their day jobs they might not have the time to chase down the photos and marketing. Are the photos of the same thing! We all have our favourite trick. Personally it’s the ones that I have taken a long time to develop with hours of performances. However I know that whatever I perform its has to engage and get “that” reaction regardless of the trick. A photographer will hunt down that wow moment, is it the trick or the performer getting the reaction! The trick and reaction in many of the photos on a website might be telling you more than you think about that performer!! So next time you look at that guy thats given you a bargain price and some photos and videos of an audience screaming in amazement, take a little time to look at the bigger picture! Christmas and then Website fiddling! Well Christmas is upon us already! The almost daily task of getting ready for gigs becomes routine! But lets make thing more difficult….let decide to make some website changes! Doh! Much of which you won’t even notice, its all happening behind the scenes with lots of email and support chats! Hopefully, things will be running smoothly but who knows what the technical elves hand over to the webgremlins. My mind is just focussed on Christmas parties, all of which are being booked up very late. I have loads of new ideas to put into practice for next year. One of which will hopefully see the Blogs more regular, redesigned and focussed towards ideas and articles for the event industry and possibly the wedding industry! So until then! Have a Happy and Amazing Xmas! It doesn’t have to be an expensive wedding to be amazing! Well we are finally getting from boxes to organised, in-between the chaos have been some really great gigs. 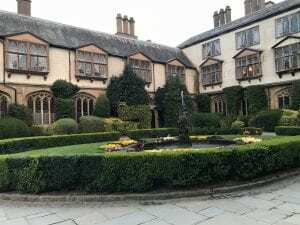 A corporate event for Morgan Sindal at the lovely venue of Coombe Abbey in coventry. I even picked up a review on the facebook page! always a bonus. The highlight tho over the past week was a lovely wedding in St Albans. The family had chosen a Barn Converted social club, which was really quite unique. The family was lovely and also quite large as it was part Irish, the booking was described as multi-cultural! The Catering was provided by a pig roast buffet! Simple and effective and the sun shone and the day was amazing. I was booked as a surprise magician by the father of the bride for his daughter. When she first met me the bride was visibly stressed and having something she hadn’t planned could have been very awkward. However, she soon realised how I fit in and was already by that point getting great feedback from her friends and family who I had already been entertaining while she was having photos. I simply let her know that I was there to help her enjoy the day let her friends be entertained while she go on with meeting everyone and enjoying her day. She instantly relaxed which was a real pleasure to see happen. So it was not the high expense wedding of a big 4 star hotel, but you wouldn’t know! However, if you don’t have the hotel you may also miss out on a restaurant manager or Wedding coordinator to help things keep moving along or getting guests to the buffet in order or introducing the speeches! There are several options to help this. Maybe hire a toast master, this can be superb but sometimes may feel a bit too official unless you get the right one for the job. 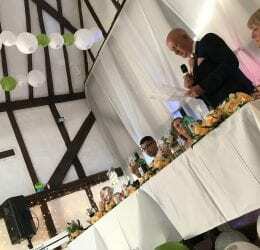 Alternatively there is always the magician who knows how to use a microphone, the order of the day and how to encourage guests to follow the order of the day and enjoy themselves! I have seen the day happen so many times when I was asked to fill in these gaps it was a absolute honour to be able to step in and help. This is also why I ask for all the timings of the day and names of important guests on my booking form. The just in case need to be prepared mentality! You will always see the words on many a website for magicians; “A magician will bring your guest together and fill in the gaps etc etc” Yes there are lots of magicians capable of this but personally I take pride in being able to carry that tool kit that is ready for everything. The tool kit labeled experience! Being able to see the bigger picture, step in and help with what ever might be needed on the day and most importantly make sure what I do fits in perfectly on the day to make it 100% personal for the Bride and Groom and professional. Moving House isn’t quick…or easy! In between all this there is still entertainer work to be done. Of course finding the right pair of shoes or prop in the box that looks all the same as the rest does not make life any easier. 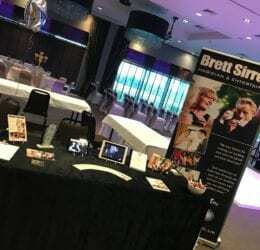 I had an amazing wedding Fayre (Open day) at the Manor House Hotel in Moreton-in-Marsh. An Amazing Cotswolds Hotel, they always look after us well! 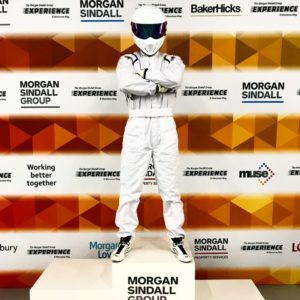 Then there has been a nice event at Silverston as The Stig. 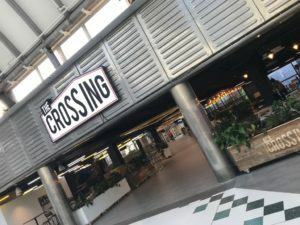 Yesterday was an opening of a new venue in Swindon. While taking this booking of course I had to temp fate by reminiscing about the good ol’ days with the agent. (Who I have know and worked for for over 20 years.) One of us put the curse of fate on the gig and said that we have only been kept in the business by being reliable and making sure we always get there and make it happen…whatever the circumstances! Of course thats like the commentators curse. So i was already nervous several days before. The day itself the sun shone and all looked great. Until on the school run the car comes up with a engine fault, then I come down with the gastric bug that the rest of the family had be parading all week. All this before 10am. So several plan “B”s happen all at once. Call the mechanic, get it diagnosed…”not suitable for long journeys!” (the car not me!) Call the wife and get her to leave me her car. Get some rest, and get to the gig! Even if it means the only sun glasses in the car are the Donnas prescription lenses! Get to gig…buy a large bottle of pink medicine and get on with the gig! For them they only see the duck floating on the surface calmly! But then again thats what the Magic and Magicians life is all about! Up next…this week I kicked started an amazing new project…Which I am very excited about! So I have decided to add a Blog to my site, to keep things up to date and give the world a little insight into the crazy world of a magician. If you are brave or determined enough to join me for the journey. The idea is to have somewhere to put my thoughts down and diarise, for both personal events, work events and fun happenings. Also perhaps to give out some handy advice and share some links to other superb suppliers, facebooks pages and other great ideas I stumble across. I will try and post every week at the least. Short and sweet sometimes and others I reserve the right to have a good ol’ rant. I’m gonna learn how to do this Bloggin’ stuff as I go. So maybe it might take a while. So when do I start for real? Well this week we are moving house, all my time has been involved in putting things in boxed and my head if full of loads of ideas for the future. Initially there may be lots of posts here about decorating and building things!!! However as soon as the iMac is plugged in the blogs will start in earnest. For now if you want to find out some things that might be included, have a quick look around my youtube channel. You will find a good collection of work, fun and family. ’till then! The Amazing (Magic) Blog is born!